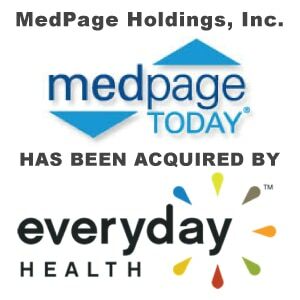 Medpage Today LLC Sold to Everyday Health, Inc. - Berkery, Noyes & Co., LLC. New York, December 15, 2010 – Berkery Noyes announced today that the firm represented MedPage Today, LLC, in its sale to Everyday Health, Inc. Terms of the transaction, were not disclosed. MedPage Today’s website, mobile applications, and partner site, KevinMD, one of the most widely read medical blogs, provide healthcare professionals with timely and actionable peer reviewed medical reporting and analysis. The quality of information produced by MedPage Today has led to a surge in traffic – since January 2010 visits to the site have increased 70%. Repeat usage and brand loyalty are strong as well, with more than 30% of users visiting the service multiple times each week. 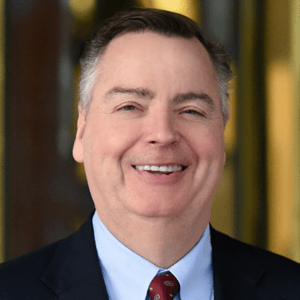 “The purchase by Everyday Health of MedPage Today will enable Everyday Health to expand into the professional markets by acquiring a premier company in the professional space,” said Tom O’Connor, the Berkery Noyes Managing Director who managed the transaction on behalf of MedPage Today. Berkery Noyes acted as MedPage Today’s exclusive financial advisor in its negotiations with Everyday Health. MedPage Today is a news organization serving healthcare professionals. The company’s daily, peer-reviewed news coverage delivered via the web and several mobile applications allows healthcare professionals to put breaking medical news into practice. MedPage Today also offers coverage of health conferences from around the world in almost any specialty, and physicians can access live video interviews and dialogues to encourage conversation and better health outcomes. MedPage Today investors include Milestone Venture Partners and SJF Ventures. More information is available about MedPage Today at www.medpagetoday.com. Everyday Health portfolio includes well-recognized and trusted health brands, including www.EverydayHealth.com ; www.Carepages.com ; PDRHealth.com; www.WhatToExpect.com from the world-renowned pregnancy and parenting brand, What to Expect; and www.JillianMichaels.com , from Jillian Michaels, star of the hit NBC television show, “The Biggest Loser.” The portfolio now includes www.medpagetoday.com, a news organization serving healthcare professionals. Everyday Health was founded in 2002 by CEO, Ben Wolin, and President, Mike Keriakos.